3 row SUV to use for trips with extended family, in the snow, or to the beach. Not for every day use. Don't want to spend too much since it's not the every day car. I'll recommend some "truckish" SUVs because these are the most spacious and durable SUVs. 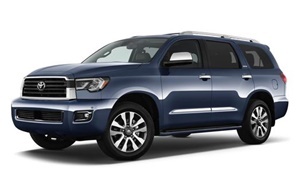 The Toyota Sequoia will be the most reliable 3 row SUV. I know at least 3 people with a first gen Sequoia and they all love them. One of the Sequoias has 320k miles and needed a new transmission. They liked the SUV so much that they paid for it even though it makes no financial sense. These cars are bulletproof, comfortable, spacious, off-road capable, and refined. I'd look for a 2004 or newer, preferably a 2007. 2008 was the start of a second generation, but is probably too expensive. The Chevy Tahoe's third row is almost unusable and both the Tahoe and Suburban are unreliable. The Tahoe/Suburban's reliability on TrueDelta is mediocre or bad. 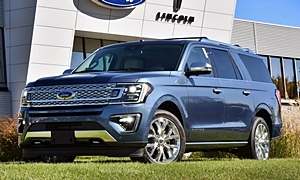 The Ford Expedition is one of the more spacious SUVs. It is more reliable than the Tahoe/Suburban, but not the Sequoia. Over all of these SUVs, I would go with a minivan because these carry the most cargo and are the most spacious. They get way better MPG than these big SUVs. The only things they don't have compared to the other SUVs are ground clearance, a huge towing capacity, and a V8 engine. They are better in pretty much every other way. I recommend the Toyota Sienna AWD because it is more capable of driving in the snow. 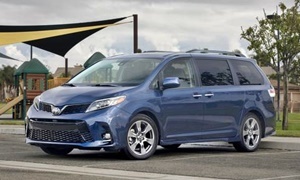 The Sienna is the only minivan with AWD. It is very reliable, up there with the Sequoia. The previous generation Sienna (2010 and older) drove like a Lexus; smooth and quiet. The ones after are not as plush and a little cheaper feeling, but it is more modern. You will want a 2008 or newer. You are trying to thread a needle with a super low price and low mileage in an extremely popular segment. I did a quick search on Cars.com and there aren't many 3 row SUVs with under 60k under $15k, let alone for $12k. You are pretty much in "take what you get" territory., so seeking out particular models may not be the best strategy. I suggest doing a local search, say within 75 miles with the parameters you've set, then trying to whittle the choices down to the vehicle which is in the best shape (no accidents, good inspection report, etc.). 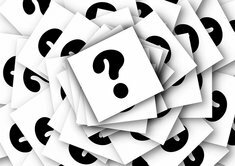 You will find a few Chevy Traverses, maybe an Acadia or Enclave or the odd Honda Pilot or Toyota RAV4 or Highlander. Even at 10 years old, the Japanese SUVs retain value. If your search doesn't turn up anything desirable, then I suggest upping the odometer maximum. So many well-kept SUVs are good for 150/200k miles and you can be a little more picky. I personally would rather have a well-maintained Toyota or Honda with 95k on the clock than a lower mileage vehicle with dubious care.